Paul J. Zinke, a popular teacher and esteemed colleague in the field of forestry at the University of California, Berkeley, died at Kaiser Hospital in Oakland, California, on August 18, 2006. He was widely known for his studies of how forests influence the natural environment and how physical factors such as soil type and climate in turn influence forest structure. Zinke engaged in his scholarly activities right up to the last day of his life. Zinke was born in Los Angeles, California, on November 10, 1920, and developed an early interest in trees and natural landscapes while exploring the San Gabriel Mountains. He enrolled at Berkeley as a freshman to study forestry, receiving a B.S. degree in 1942. After a brief period working as a surveyor on the Alaskan Highway, Zinke joined the U.S. Army and was serving with the 10th Mountain Division in northern Italy when World War II ended. His military duties included mapping German minefields using aerial photographs and then testing the accuracy of his maps by traversing the field at night, sometimes behind German lines. On his return to civilian status Zinke resolved to pursue a life of learning and freedom to explore the natural environment. He chose teaching and research in the field of forestry as the vehicle to satisfy those aspirations. Zinke joined the U.S. Forest Service in 1947 and was assigned to the California Soil Vegetation Survey. He mapped and described soil types and associated vegetation on several million acres of the north coast counties, including all major watersheds in that part of California. He also completed graduate studies, receiving the M.S. 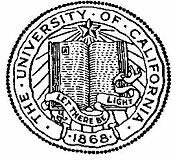 (1952) in forestry, and Ph.D. (1956) in soil science at Berkeley. Zinke was appointed to the faculty of the School of Forestry in 1957. He initially taught courses in forest influences and dendrology on the Berkeley campus and part of a summer forestry course at Meadow Valley, California. 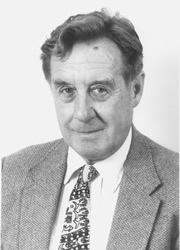 Later he developed a course in range and forest soils, which became a regular offering in his teaching portfolio for many years to the time of his retirement in 1992. He was an enthusiastic, amazingly versatile, animated teacher who could engage and hold the attention of his audience in any kind of environment ranging from a large lecture hall on the Berkeley campus to courses taught in outdoor field settings. In 1959, only two years after his appointment to the Berkeley faculty, Zinke was awarded the Distinguished Teaching Award. In the 1970s, he developed a survey course, Forestry and Conservation, which regularly enrolled 400 – 500 students. Zinke’s lectures were fast-moving, richly illustrated, and notable for his capacity to write on a blackboard with his right hand while simultaneously erasing with his left hand to make room for new material. Zinke’s professional and scientific development were strongly influenced by Professor Joseph Kittredge’s work in forest influences, his early employment with the California Soil-Vegetation Survey led by Everett Wieslander (UC Berkeley class of 1914), and by his dissertation advisor, Professor Hans Jenny, whose state factor approach to ecosystems analysis became the foundation for Zinke’s analytical approach to interrelationships between soil and vegetation. Zinke’s scientific contributions include a legacy of over 100 research and professional papers published in journals and proceedings of national and international conferences. An early study of the influence of periodic flooding and sediment deposition on alluvial flats in Humboldt Redwoods State Park clearly showed that periodic deposition of sediment in the grove led to increases in the growth of the large trees. This was the first of many papers studying the interaction of soil fertility and the growth of forest vegetation. His cooperative work with the California Soil-Vegetation Survey led to computer analysis of a large set of soil data from field plots throughout California. This work produced a set of microfiches reporting soil nutrient and moisture storage for most of the forest soil series in California. Land managers have used these data to assess the potential effects of forestry practices on site fertility. Zinke’s expertise in mapping soil-vegetation types by remote sensing led to a major role in supervising the Brazilian government’s project to map the soils and vegetation of the Amazon basin by the use of airborne radar mapping technology. His knowledge of forest soils and mineral cycling led to service on the National Academy of Science’s panel on the ecological effects of defoliation of forests in South Vietnam. During a sabbatical leave in 1967, Zinke lived in a tropical village with Lua tribesmen in the forests of northern Thailand. His study of their shifting cultivation system and its relationship to soil properties over several cycles showed that the rotation practices of the tribe, which had been practiced for nearly 500 years, allowed them to clear the forest periodically for agricultural purposes without destroying its fertility. This was a startling result, as it was commonly believed that shifting cultivation inevitably depleted soil fertility and slowed forest growth. Zinke was as much a gifted naturalist as he was an expert in soil science. He had worked in locations throughout California, other parts of the American West, Europe, South America, and Southeast Asia. His knowledge of both forest and social conditions was integrated in a personally experienced repertory of anecdotes, stories, and case studies that illustrated principles and theory with a lively style that captivated his audiences, students, and peers. Service to outside organizations was always a major portion of Zinke’s professional life. He gave many presentations at short courses and field schools sponsored by the Society of American Foresters, U.S. Forest Service, the California Forest Soils Council, UC Cooperative Extension, and the National Park Service. He also gave invited seminars and lectures at other UC campuses and universities. He served on advisory committees for various state and federal agencies, and as a consultant to the royal Thai government on rehabilitation of storm-damaged areas in Thailand. Zinke married Mardell Butler in 1947 in Yosemite Valley. She survives him, as do sons Michael and Richard, daughters-in-law Sharon and Yukiko, three grandchildren—Daniel, Kaori, and Rebecca—and a brother, Roger Robinson. Granddaughter Kaori is the third-generation Zinke to enroll as a freshman at Berkeley.